The Gemz, Inc., a non-profit empowering young ladies with the spirit of excellence and leadership, joined BEACON for a workshop on Entrepreneurship in STEAM. It's almost time! 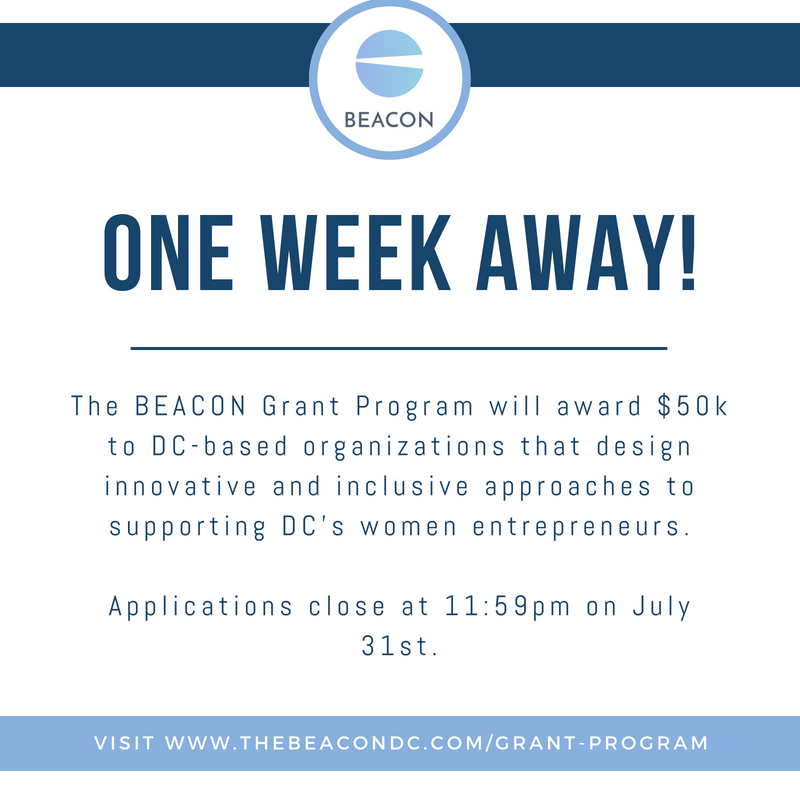 July 31st is the last day to submit your application for the BEACON Grant! A total of $50,000 is up-for-grabs for local ecosystem builders that design innovative and inclusive programming that supports DC's women founders. This year's competition has a special bonus prize for the community voting round -- learn more and apply on the BEACON website. Be sure to follow us on Instagram for highlights of past awardees! Call for Mentors: Help us scale! We've matched over 65 pairs of "sponsors" and "sparks" through the BEACON/WERKIN mentorship program. As we dig deeper into the needs of our community, we seek mentors who have scaled their companies through new markets, revenue streams, or even hiring additional team members. WERKIN mentors have access to a select group of BEACON community members + can unlock prizes throughout the process. There is no minimum or maximum hourly commitment required -- simply use the Werkin App to do what you can and lend your expertise on your own schedule! Learn more and sign-up by 7/27. OLLIE QUINN is a contemporary collection of handbags, luggage, and accessories designed for a global nomad in heels and bag. EstAPPlish helps startups and small businesses solve their marketing problems with custom apps. Buttercream Bakeshop is a full-service bakery offering breakfast pastries, sweet treats, wedding cakes and more. Single Parent Power is the only one-stop-shop for a bilingual, diverse and inclusive community for single parents in the greater Washington, DC area. Walker's Legacy, in partnership with Women@Forbes, is calling for applications for their annual Walkers Legacy Power Awards, celebrating multicultural women in business and entrepreneurship. Know a power woman in your community, deserving of recognition? Nominate your pick by July 31st. The Minority Business Development Agency Seeks Nominations for 2018 National Minority Business Awards. These prestigious awards celebrate the outstanding achievements of minority entrepreneurs, as well as the individuals and organizations that have demonstrated their commitment to advancing minority business enterprises. There are three main award categories: Minority-Owned Firms, Champions of Minority Business Development, Individual Recognition. Nominate by 7/31. TED is looking for 20 people from all backgrounds whose work has the potential to spark real change across our planet. As a TED Fellow, you will receive transformational support to help catapult your career, including a TED Talk at the upcoming TED2019 conference. Apply by 8/26. The Cartier Women's Initiative Awards are an international business plan competition created to identify, support and encourage projects led by women entrepreneurs. The awards aim to encourage inspirational women entrepreneurs worldwide to solve contemporary global challenges by: supporting and recognizing creative women who are making concrete contributions to finding solutions for the future of our planet and bringing these business solutions to the largest audience possible. Apply by 8/31. Do you run an accelerator program? 500 Startups has created a bootcamp for accelerator managers to share tips on how to run a successful program. Learn more and save if enrolled by 8/24. The PeaceTech Accelerator provides an eight-week structured program in Washington, DC including mentorship, sprints and tutorials for startups that apply technology to assist communities in conflict and crisis zones. The program covers all aspects of scaling up, with a focus on scaling using the cloud. Participants will receive $50k in credits for Amazon Web Services and a $15,000 cash investment. Click here to learn more - admissions are rolling and the program begins June 4th. Call for Vendors at Empowered Women International's Sixth Annual Artisan Gifts & Food Marketplace in Silver Spring, MD. Apply by 8/1 and receive notification by 8/10. Are you interested in serving as a mentor? Empowered Women International is recruiting for mentors for the Entrepreneur Training for Success program. If interested in learning more, contact Alexandra Boycheck at alex@ewint.org. Mentors are needed in Rockville (English) and Herndon (Spanish). 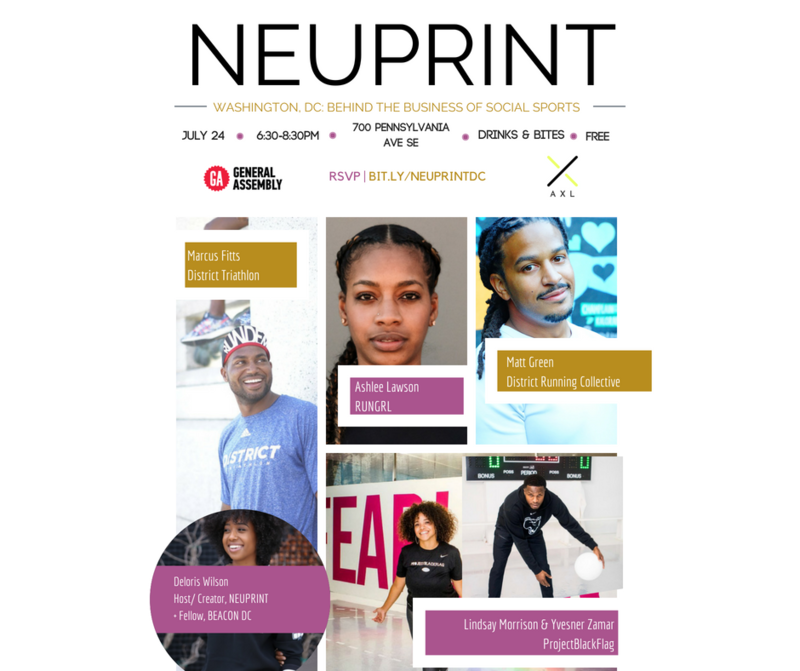 7.26: DC Startup + Tech Summer Networking Mixer Powered by Google. 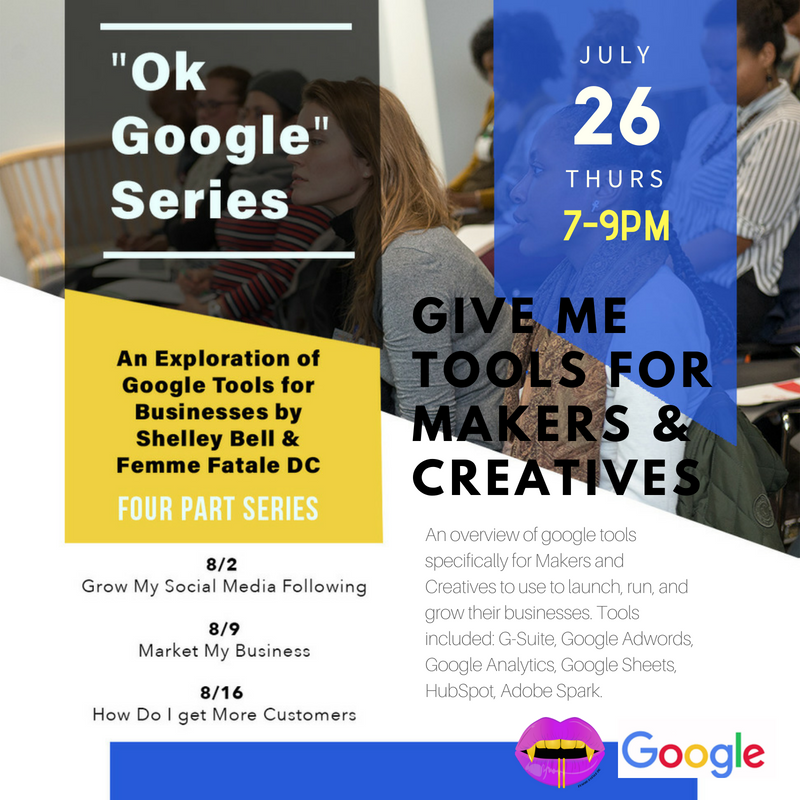 8.16: Ok Google - How Do I Get More Customers? 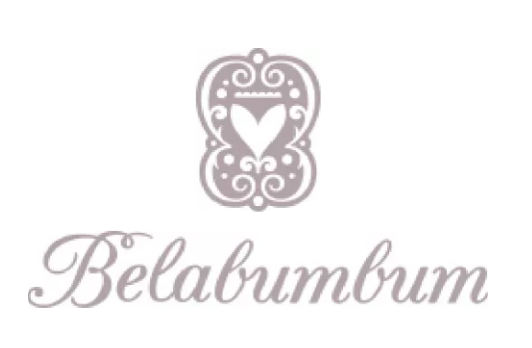 Belabumbum is an ethically-sourced lifestyle brand for intimate apparel, sleepwear, loungewear and activewear for expecting and new moms. Founded in 2001 as a social enterprise, Belabumbum is committed to manufacturing in the Americas. Founder/CEO, Heidi Rauch, works with small manufacturers in Central and South America to help grow their businesses through international markets. Heidi has worn every hat in the company and is passionate about supply chain management and international trade. 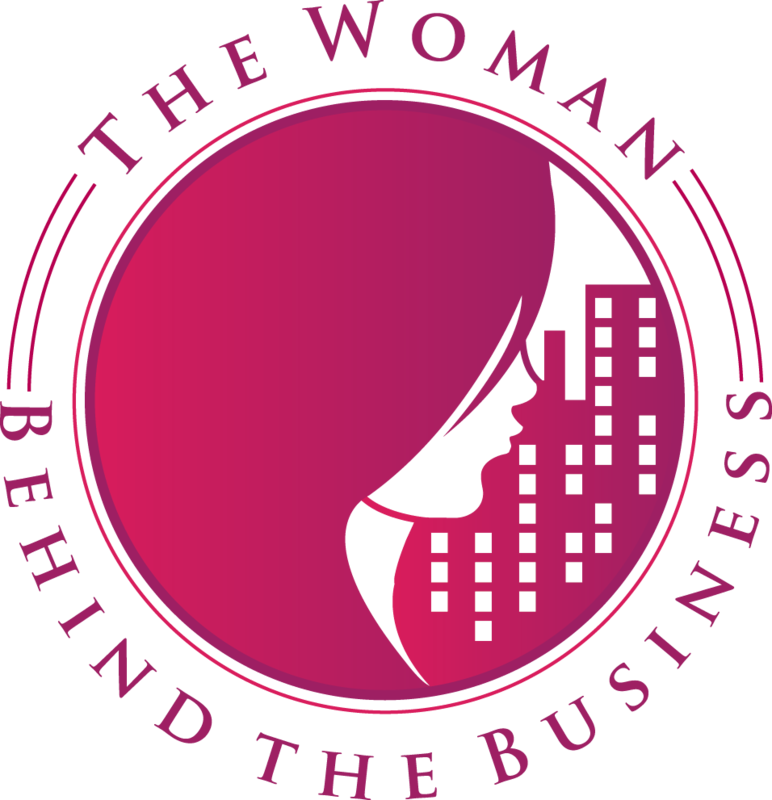 The Woman Behind the Business is a forward-thinking company designed to assist women entrepreneurs with national and international business relationships - ultimately expanding their brand, network and net worth. Through events, a weekly talk show on WHUR-96.3 FM and more, The Woman Behind the Business provides women with the strength and strategies to secure success in the business world. Founder, Angel Livas, is a Gracie Award-winning executive producer and holds nearly two-decades of media experience. In 2016, she was highlighted in the Washington Business Journal as a "[Person] On the Move," and named "Influential Business Woman of 2016" by AI Magazine. In addition to producing programming for six nationally-syndicated talk-radio shows like Larry King and Jane Pauley, Angel has crafted original content for web, radio and social media while overseeing the Radio Department at AARP for ten years.